A warm mulled fruit tea with citrus and cinnamon. Steep the tea according to package directions. In a small saucepan, combine tea, orange wedges, cider and cinnamon on low heat for 10 minutes. Let cool for 5 minutes. 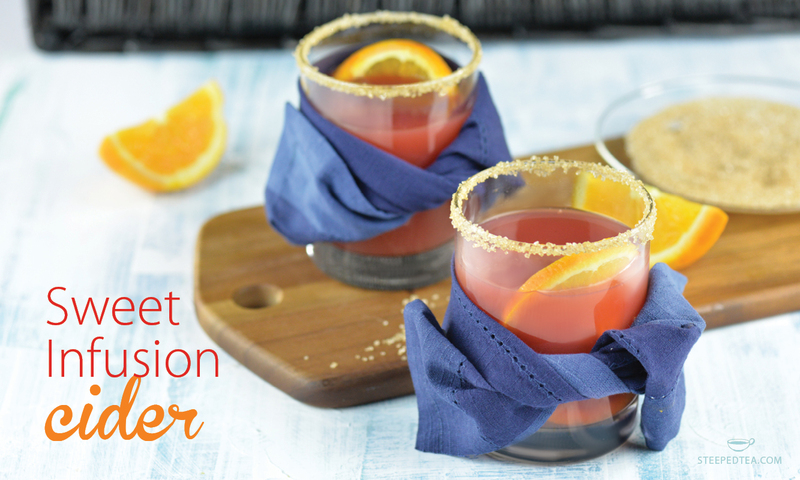 Rim cup or Mason jar with sugar and pinch of cinnamon, pour in tea and garnish with an orange slice. Enjoy!